Here’s the 7th installment in the ongoing series of blog entries my wife wrote for her personal blog a couple months back. This one is probably my personal favorite of the series. It’s largely about me and the effect that my commitment to the business had on my family life. Since moving to Vancouver to work with the Whitecaps, I’ve had more life-balance than I’ve had at any point in my adult life. I read this entry and in retrospect wonder how I did it. I never once felt overworked, unfulfilled, or anything but enthusiastic about what I was doing…it was just all-consuming and probably not the best life for a husband and father to live. A pic from after our Thanksgiving Day workouts. We literally never closed. …Five months rolled around and although the number of our clients increased, we were shy of doubling our numbers. In order to pay the rent, we didn’t pay ourselves. Everything we had went into keeping Athletic Lab alive. Eventually, we surpassed doubling the number of our clients. Until we reached that point, it was a stretch to pay the rent each month. We were “chewing” what had been bitten off. During that time, being invited somewhere for dinner was always like God’s way of taking care of us. Jen, you’ll probably never know how much your awesome meals really meant to us. Embarrassment killed me each time I was forced to leave groceries at the checkout of the grocery store because I wasn’t able to pay for them. I’d somehow hold it together until I reached my 20 year-old AC-less car and in the security of the car that I’d had since I was 16, I’d fall apart. I would have rather starved than to ask for help. I instead started watching a friend’s daughter to earn grocery money. Business gradually picked up. As the number of our clients went up, so did the number of hours Mike was working. I don’t think many people have any idea how many directions he had been stretched into. I know I would have snapped under the pressure, constant movement and lack of sleep. I never once heard him complain. His days kept getting longer and longer. His weekends became non-existent. If I had plans, it was best to make them without including Mike. He was working 12+ hour days, 7 days a week with no vacations. He would frequently come home at 10:00PM, grab something to eat, head to the computer and work until 2-3:00AM. His alarm generally went off at 6:15AM to teach the 7AM class. We increasingly saw little of him. For awhile, Mike taught at UNC. 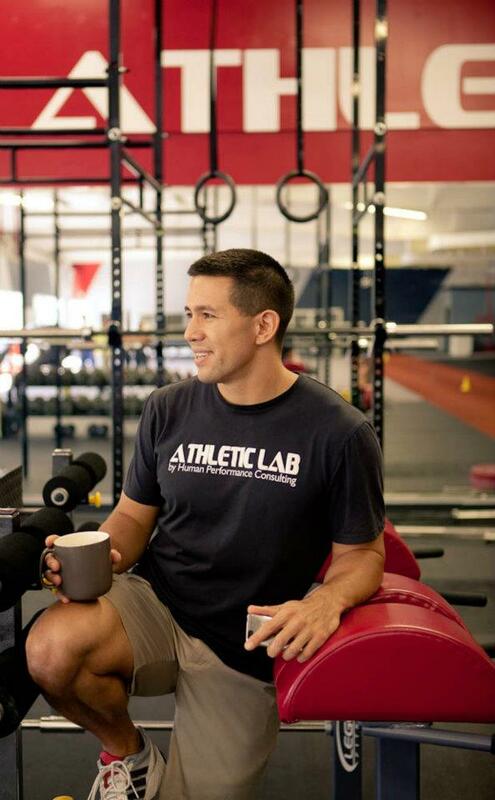 He handled all of our social media: Athletic Lab’s Facebook page, four Twitter accounts- with a combined following of nearly 100,000 people, a photo website and our business websites, he coded all four of our websites from scratch and maintained all updates. 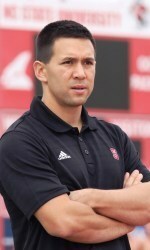 Mike also handled all of the programming for our CrossFit, Olympic Weightlifting and Scholastic Select classes as well as the training programs for correspondence clients and the Railhawks. 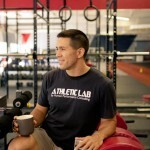 He was coaching the elite Olympic development team (HPC Elite) and teaching private training sessions, CrossFit, Olympic Weightlifting and Scholastic classes. 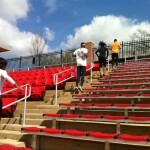 He also did all of the training for the Railhawks. All of our staff and intern training was done by Mike as well as the organization of our weekly work schedules. He was in charge of our facility management. Mike was rewriting and presenting the coaching education curriculum for various national governing bodies including USATF and USTFCCCA. He maintained his sports science research with USATF and he completed research for product development for several companies. His speaking engagements were non-stop. He had two to five trips per month that would take him out of town from Friday to Sunday. Sometimes, they were longer. His e-mail inbox was constantly full with over 100 new e-mails everyday. His phone rang non-stop. On the rare occasion he made it home in time for dinner, I put a mandatory silence rule on the phone. Our relationship had morphed into one of business partners. We sometimes saw each other before or after the classes we were teaching. Staff meetings were date nights. Mike is an unbelievably awesome father, but much of the time, it was like being a single parent. We saw him on FaceTime when he was on the road more than we did in person. When he was out of town, my single-parent duties were juggled with increased hours of working at Athletic Lab to cover for his absence. For morning classes, I nabbed Eva out of bed and she slept on a cot in what is now Mike’s office while I taught classes. I left her breakfast on the desk in case she woke up before I was finished. For evening classes, the interns entertained her as I taught. The gifts Mike brought home for Eva from his trips started to burn me. She needed his time. Not his gifts. Our quest for becoming successful business owners was coming at an enormous price. 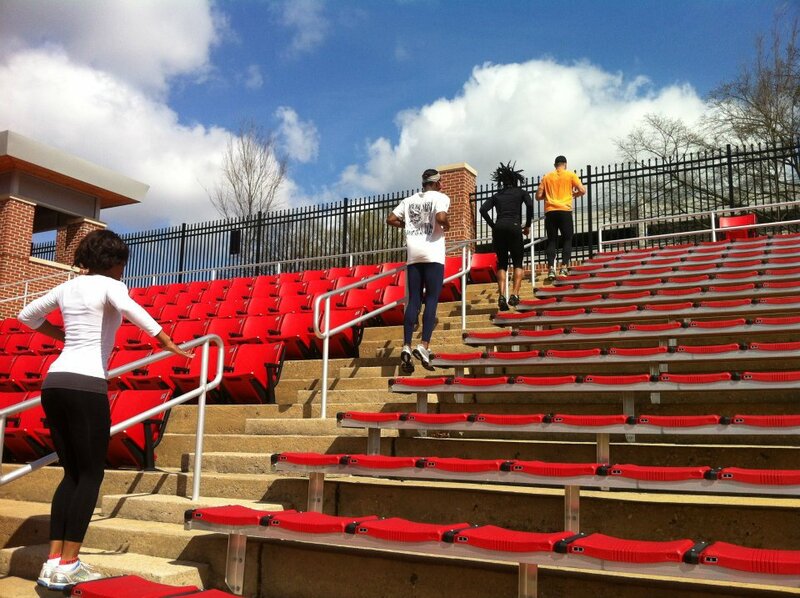 Without explicit permission, Mike had been training his Olympic development group at NC State’s track. 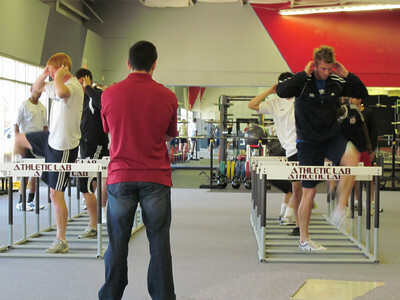 One day, NC State’s head track and field coach came to Athletic Lab and asked to speak to Mike. Mike thought he was going to be asked to not use the track. Instead, he was offered a job. They wanted him to coach their sprinters and have technical oversight of the entire program. He would be given a very nice full time salary and benefits while only working part time hours. He wouldn’t have to recruit, sit in an office or fill out paperwork…all things he hated. He could choose practice hours. He could keep his speaking engagements and only travel to the most important track meets. Mike swore he would never get back into collegiate coaching again and he wasn’t necessarily looking for another job, but this was his ideal coaching scenario. He accepted.